A fast, ultra wide-angle zoom lens offering excellent optical performance throughout the zoom range. A constan tF/2.8 maximum aperture make this an ideal lens for low-light photography. A professional-quality standard zoom that offers superlative image quality and a fast F2.8 maximum aperture throughout its zoom range. The perfect companion to any full-frame camera. 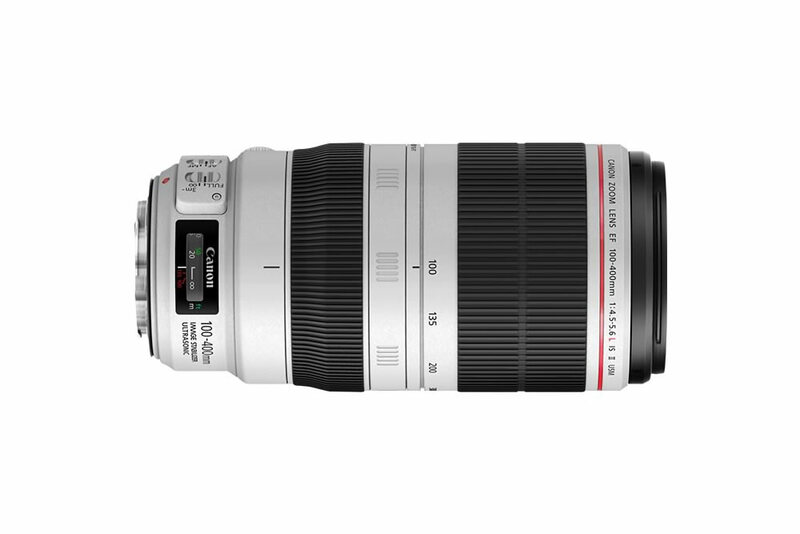 The EF 70-200mm F2.8L IS II USM is a workhorse telephoto zoom lens designed for professional use. It has a rugged durable design, a four-stop Image Stabilizer and specialised lens elements. A compact, high-performance 100-400mm zoom lens that’s ideal for those shooting sports, action and wildlife photography. A 4-stop Image Stabilizer and high-quality optics deliver superb sharpness. Fast super wide zoom with a reasonably short zoom focal range to maintian quality at all focal lengths, wide open. A precision-designed ultra wide-angle lens. This 14mm f/2.8 optic uses ultra low dispersion and aspherical elements to boost image quality, while its design corrects for distortion. Tilt movement allows a potential wide or shallow depth of field with the manual adjustment. Shift movement can correct the trapezoidal effect from tall buildings to reduce the distortion. Alternatively, just use for effect. This EF 2x II doubles the focal length of any lens attached. There is a loss of 2 stops in use. The adaptor draws its power from the internal pins on the Sony F55. The iris is then controlled in 1/3rd stop increments. No cabling required keeping the rig clean. Additionally, there is a PL style clamping mechanism giving the lens extra stability. Allows electronic EF lenses to be used on Sony cameras. Full integration of aperture, image stabilisation and autofocus when available. All connections are internal through pins on the camera.